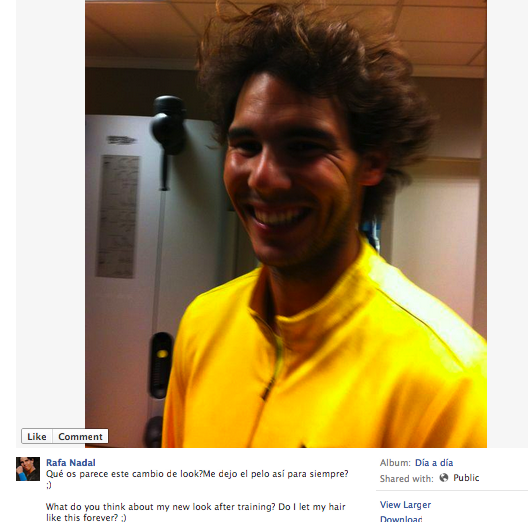 You are here: Home / Social Media Studies: The Many Hairstyles of Rafael Nadal. 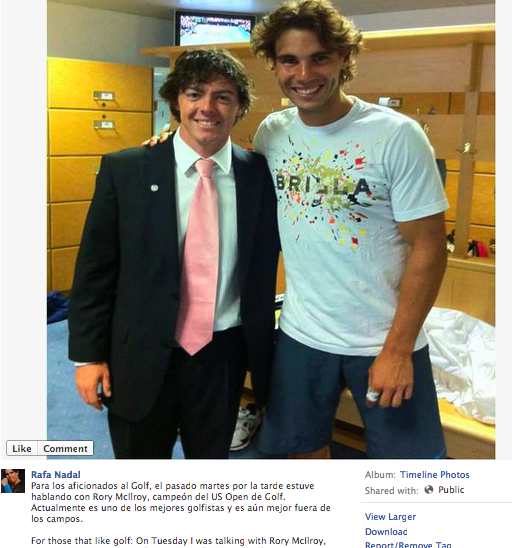 Social Media Studies: The Many Hairstyles of Rafael Nadal. 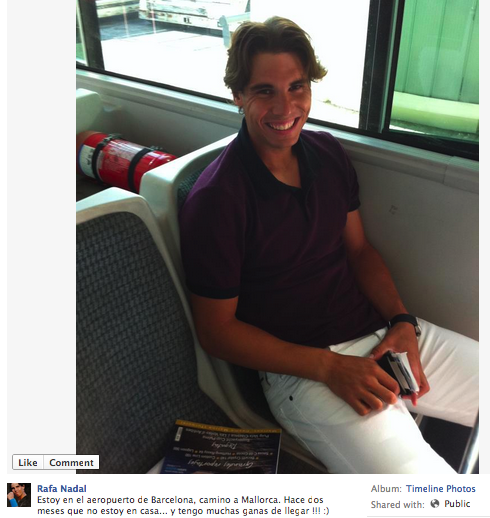 The ATP is just not the same without Rafael Nadal. 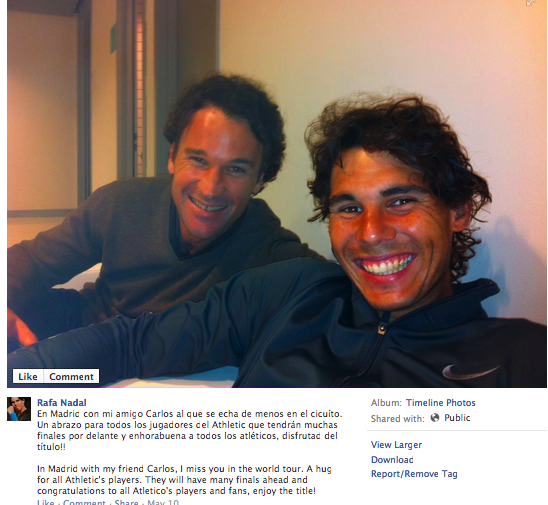 Whether you’re a member of the Vamos Brigade or not, at this point I think it’s safe to say that we all miss him. 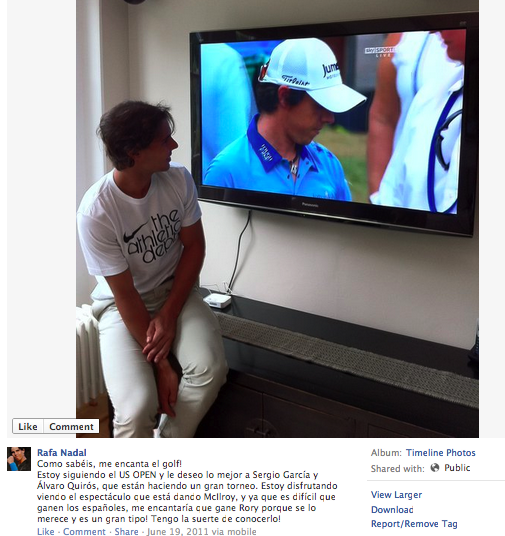 Luckily, Rafa (or, if you’re a cynic, Benito) is an avid user of Social Media. He chronicles fishing escapades, workouts, and lots of time with his cousins. He also inadvertently chronicles his personal battles with his hair. 1. The “SEE LOOK HOW MUCH I STILL HAVE!” style. 2. The “I can grow facial hair just like the big boys” style. 3. The “Benito told me this was going to be a Radio interview” style. 4. The “Look! I discovered a flat-iron” style. 5. The “Oops I spilled the hair-gel” style. 6. 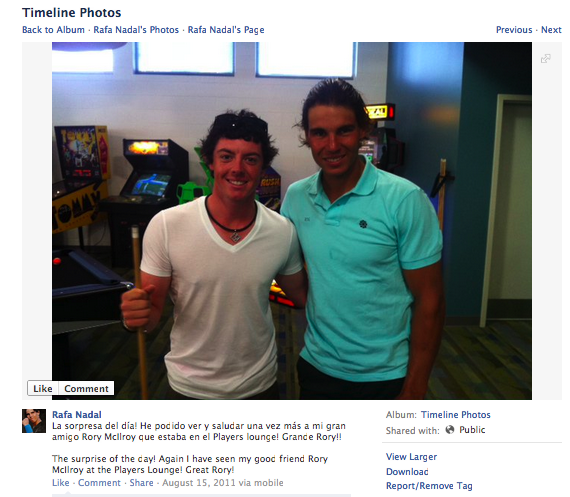 The “At least my hair is better than Rory’s” style. 6. The “Oh crap– maybe it’s not” style. 7. The “OMG a hat, why didn’t I think of that?” style. 8. The “What in the world am I doing in Cincinnati and watching Fox News?” style. 9. The “Do I look exactly like Moya yet?” style. 10. And last, but CERTAINLY not least…the “I accidentally woke up in China with bangs” style. 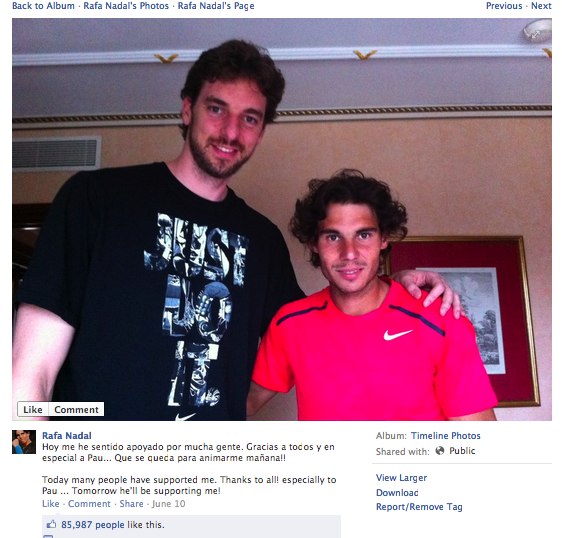 Get well soon Rafa! We can’t wait to see you back on the court–crazy hair and all. 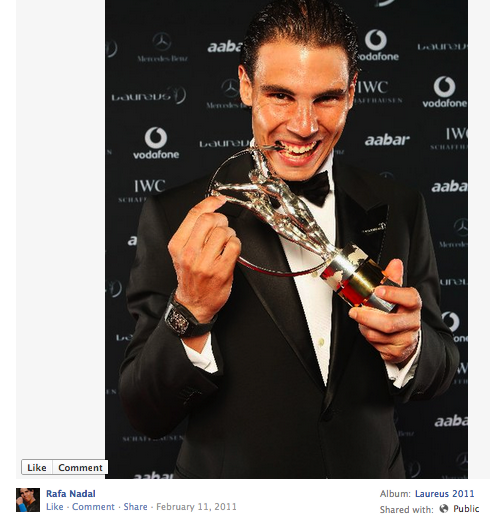 Thanks for this perfect dose of Rafa-related hilarity. Makes waiting easier :). Thanks Jesna- glad you enjoyed! Priceless! Thanks for keeping it fun, Lindsay. 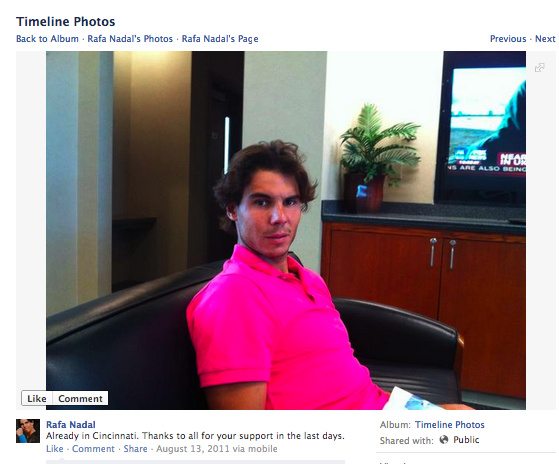 Hurry back, Rafa! Very funny stuff; thanks for the laugh! The one about Fox news is especially hilarious. 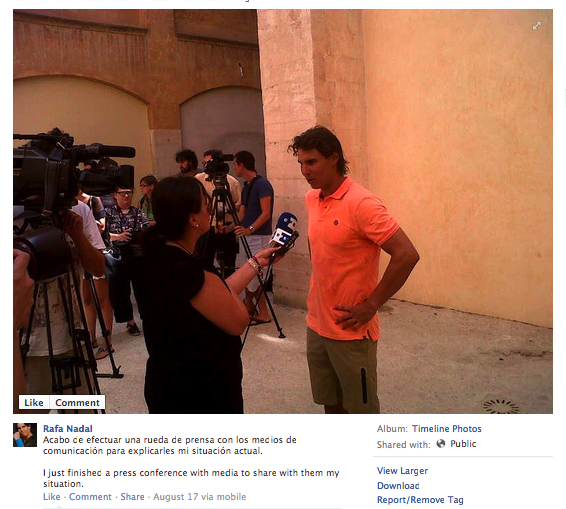 Hope Rafa comes back on tour soon and sporting even wackier hairdos 😉 He’s is most definitely missed. 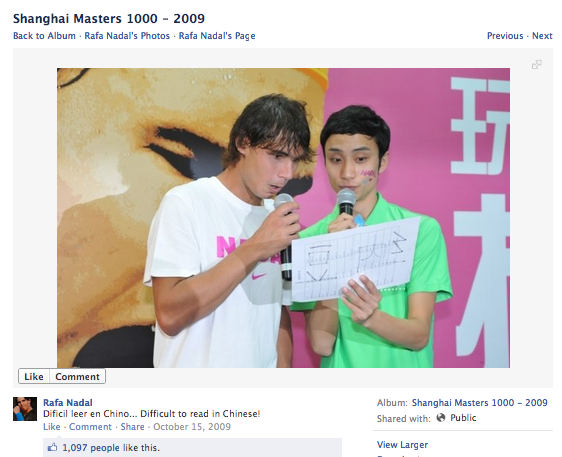 Previous Entry: Changeover Chat: Does the World Tour Finals Format Need to Change?